NEW YORK — One week into March Madness, CBS is feeling good. 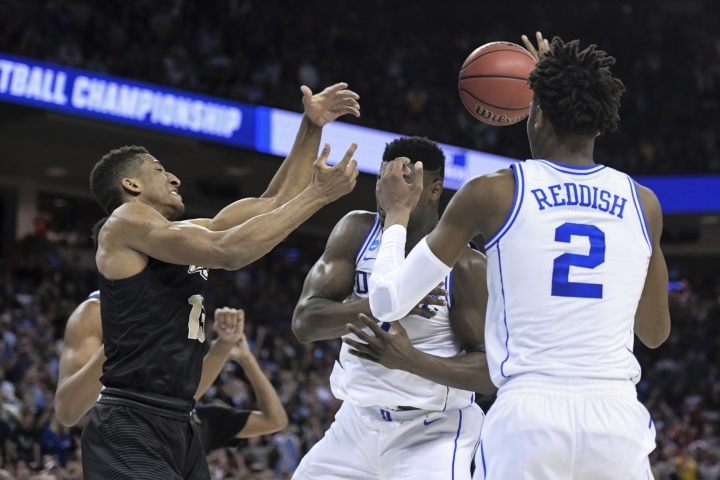 Based on ratings from the nation's largest media markets, the Nielsen company said CBS and the Turner Networks had the second best performance over the last 29 years for the first four games of the NCAA men's basketball tournament. The only year to do better in that period was 2015. Last Friday, when word got out that special counsel Robert Mueller had completed his work and cable television began talking about it, Sean Hannity of Fox News Channel had 3.13 million viewers, just behind colleague Tucker Carlson's 3.2 million. Rachel Maddow of MSNBC had 2.9 million, Nielsen said. CBS easily won the week in prime-time, averaging 6.2 million viewers. ABC had 4.4 million viewers, NBC had 4.3 million, Fox had 2.8 million, ION Television had 1.4 million, Univision had 1.2 million, Telemundo had 1.1 million and the CW had 920,000. Fox News Channel was the week's most popular cable network, averaging 2.45 million viewers. TBS had 2.03 million, TNT had 1.87 million, MSNBC had 1.69 million and HGTV had 1.28 million. ABC's "World News Tonight" topped the evening newscasts with an average of 8.6 million viewers. The "NBC Nightly News" was secod with 7.9 million and the "CBS Evening News" had 6.3 million. For the week of March 18-24, the top 10 shows, their networks and viewerships: "60 Minutes," CBS, 10.25 million; "The Voice" (Monday), NBC, 9.88 million; "NCIS," CBS, 8.46 million; "This is Us," NBC, 7.65 million; "God Friended Me," CBS, 7.53 million; "NCIS: Los Angeles," CBS, 7.16 million; "American Idol" (Sunday), ABC, 7.08 million; "Survivor," CBS, 7.06 million; "Grey's Anatomy," ABC, 7 million; NCAA Men's Basketball Tourney: Minnesota vs. Michigan St., CBS, 6.49 million. This story has been corrected to show correct viewership for Sean Hannity on Friday.